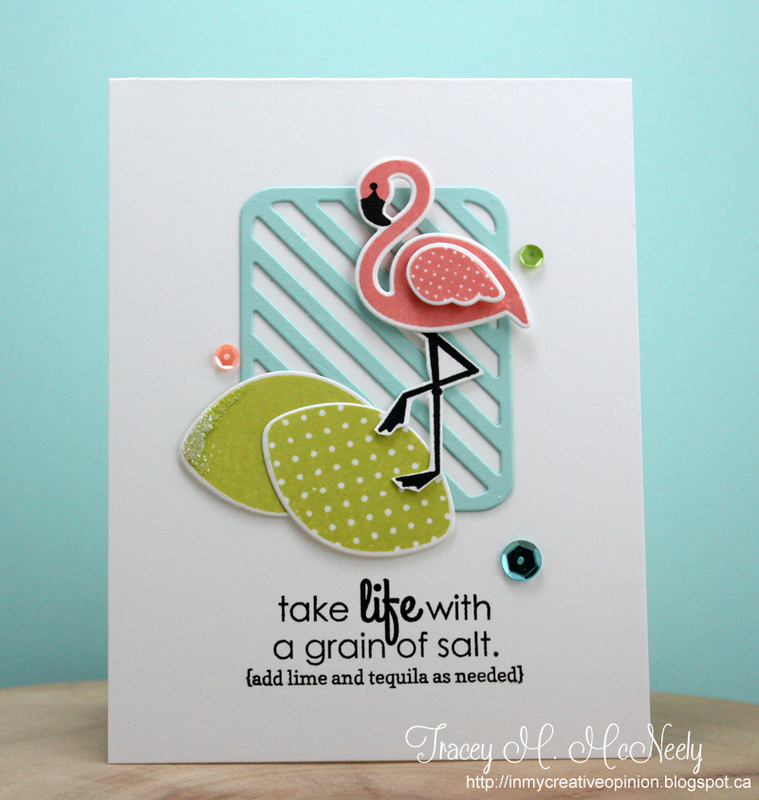 I have a couple more projects to share with you today using two more of the new release dies over at Top Dog Dies. 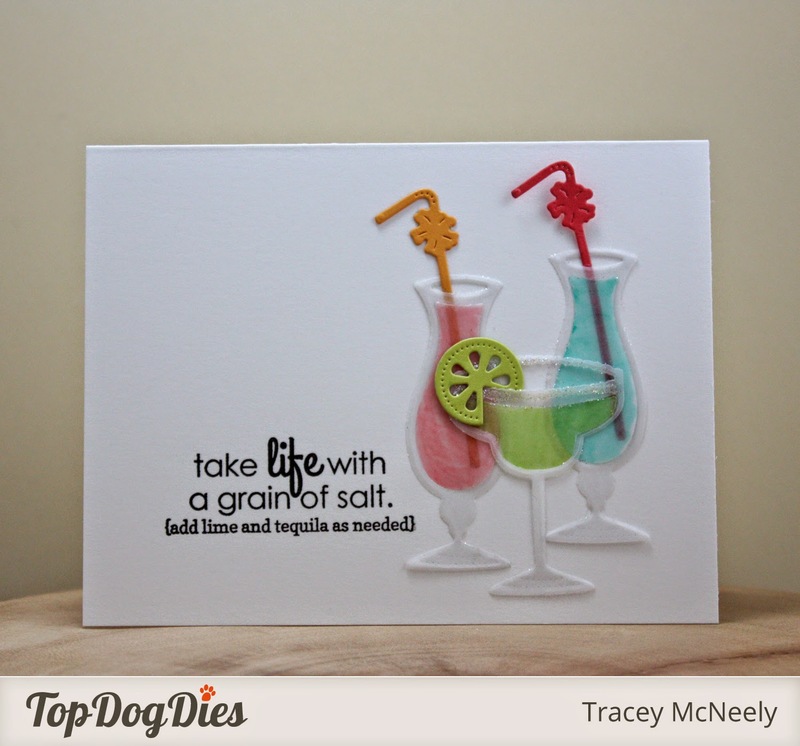 First up is the Top Dog Dies Party Drinks Die. 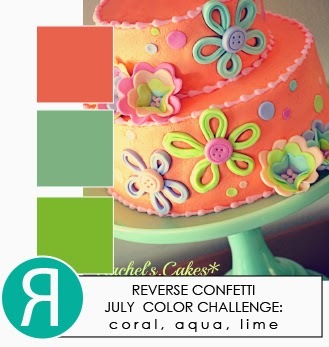 Love this die and all of it's possibilities to make fun summer fruity drinks! I die cut my drink glasses and the actual drinks from vellum. I coloured the backs of the drinks with Copic markers, which you may have seen Lee Ann Barrett do with her Top Dog Dies drink card last week. I realized when I went to adhere the drinks to the card base that with I don't have vellum adhesive, how am I going to adhere them to the card? I used my Xyron to add adhesive to the backs of the drink glasses and drinks. You have to be careful when you have something super sticky, so there were some gymnastics putting the straws into the he glasses just right. 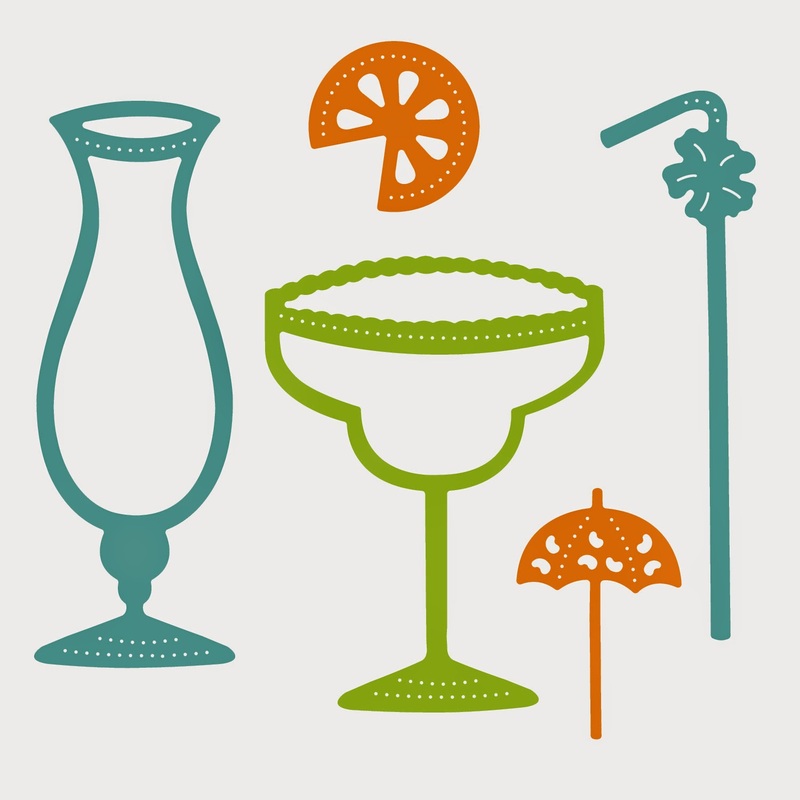 I added the salt to the rim of the margarita glass after I had adhered it and the lime was added last. My second card uses the new Dog Days of Summer #1 dies. I created a sympathy card for a dog owner who has lost their pet. 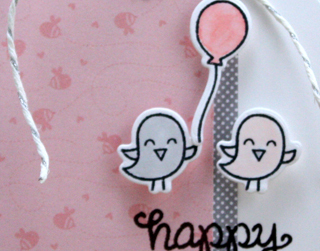 It is a more serious take on dies that are so very cute and fun but I find that a pet sympathy card has it's place. 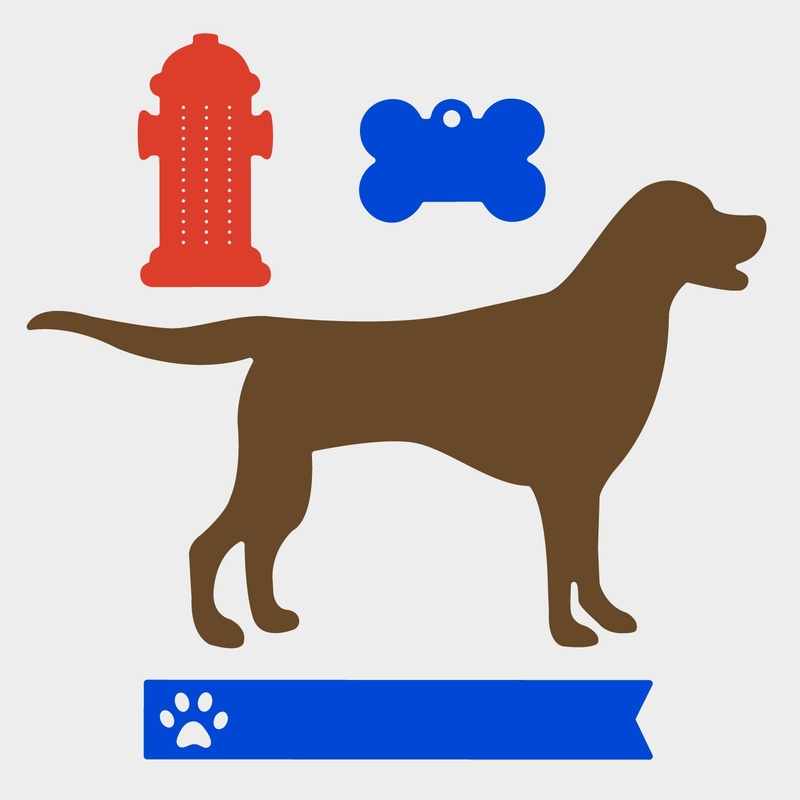 I stamped a fence on the white panel, die cut the dog in dark chocolate, the hydrant in yellow and used the tiny dog banner for the sympathy sentiment. Fire hydrants are yellow in Canada, what colour are they where you are? Head over to the Top Dog Dies shop today to see the six new dies released this month. Are you ready for Challenge #3 at Tag You're It? 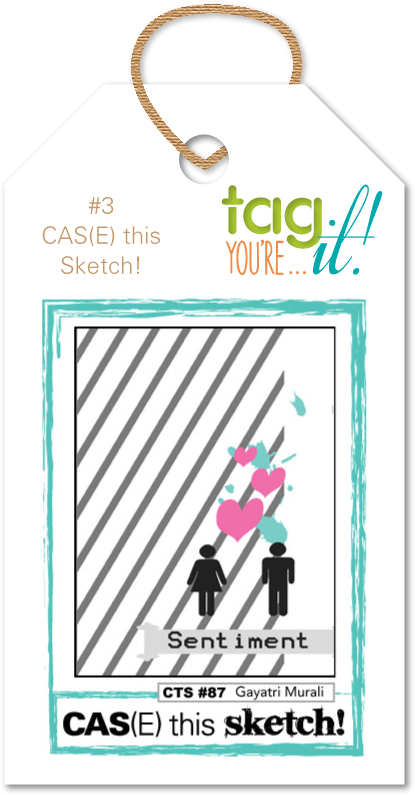 This challenge we are teaming up with CAS(E) this Sketch and our own Gayatri Murali's sketch! Inspired by the layout of the sketch I shrunk it down to a mini canvas! Head over to to Tag You're It so that you can seen how the rest of the Design Team has been inspired by the sketch and to inspire you to create and link up your own tags! It is July 31st and that means it is time for The 12 Kits of Occasions post! Cliche maybe, but we are doing Christmas in July and I was the hostess this month. I started searching for paper last fall and I picked Webster's Pages, Allison Kreft's, It's Christmas. Absolutely LOVE these patterns. I added some die cuts, stamped images, ribbon and embellishments to the kits, but honestly I think that the paper is going to be the star of the show as you go through all the projects that the Design Team has for you. 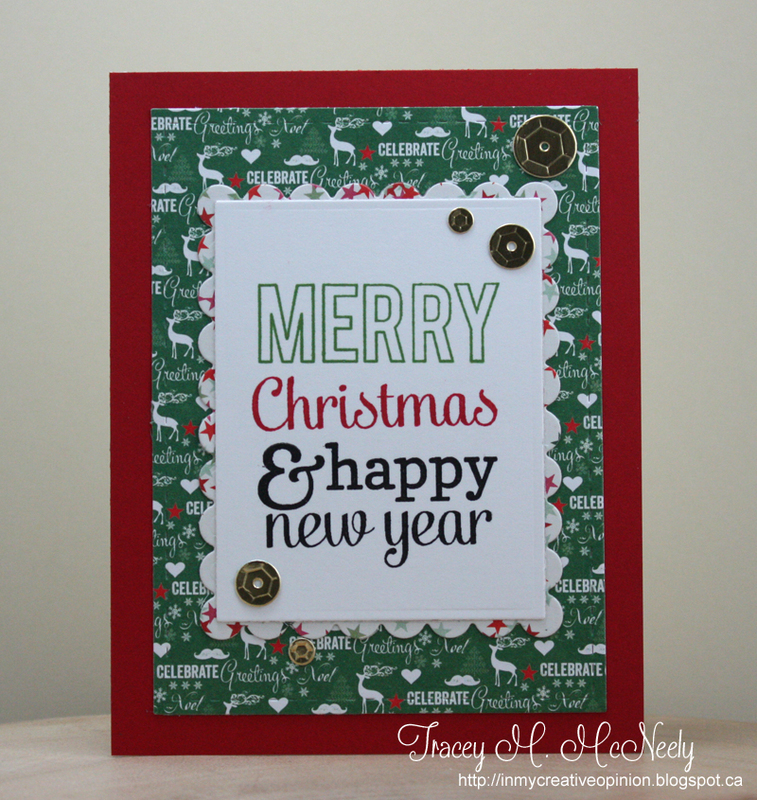 Also this month I am pleased to introduce our Guest Designer, Lesley Croghan! Lesley is playing along with the team with the same kit and I know that we are going to love all of her projects. I have lots to show you today and I think the rest of the girls do too! So grab a cup of coffee and lets get started! 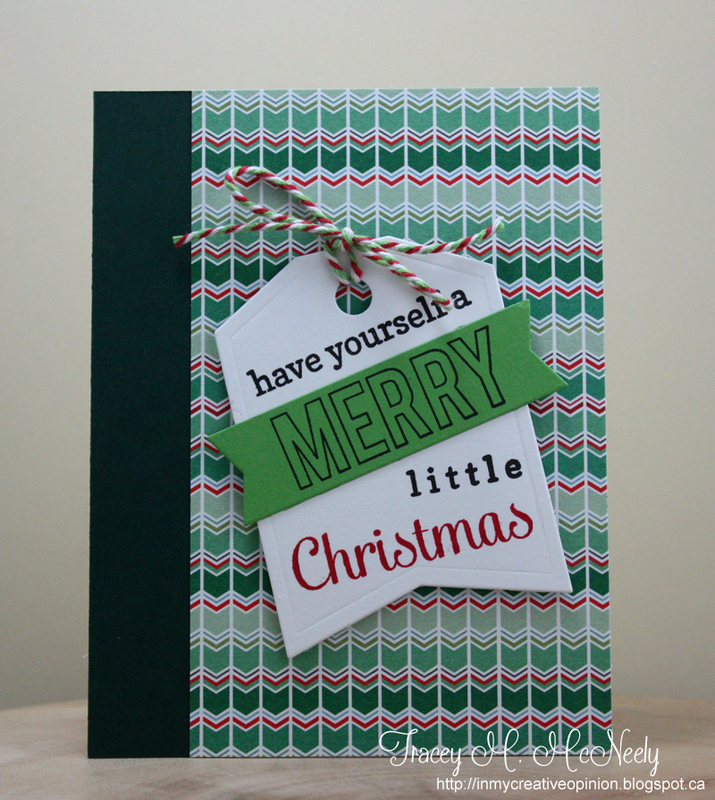 Now head over to the 12 Kits of Occasions blog to see what the rest of the team has done for you! 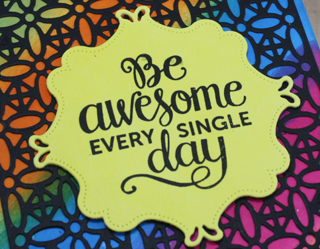 I am also linking these up to the Simon Says Wednesday Challenge Anything Goes! 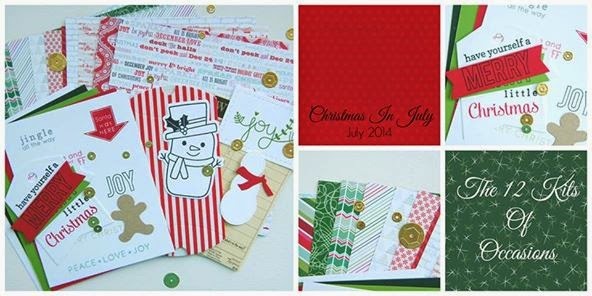 Tomorrow we are celebrating Christmas in July on The 12 Kits of Occasions blog! The last 5 days have been a blur! My hubby came in from Edmonton on Thursday and as usual when he is home it is all go. We fit in homemade spaghetti sauce by request, a full day out shopping with our daughter, dinner out just hubby and I, a trip to Muskoka to visit our son and have a fantastic lunch dockside at Turtle Jack's with his lovely girlfriend, visit and lunch out with my mother-in-law, hubby's cousin and Aunt on Sunday and a full day on Monday finally getting Ben's car towed home and put into our garage for decisions later--oh and a quick stop at Bizzy's B's in Toronto which ended up with Scribbly Birds stamps by Dina Wakley, more dies and more ink! Glad to be back in my craft room again. 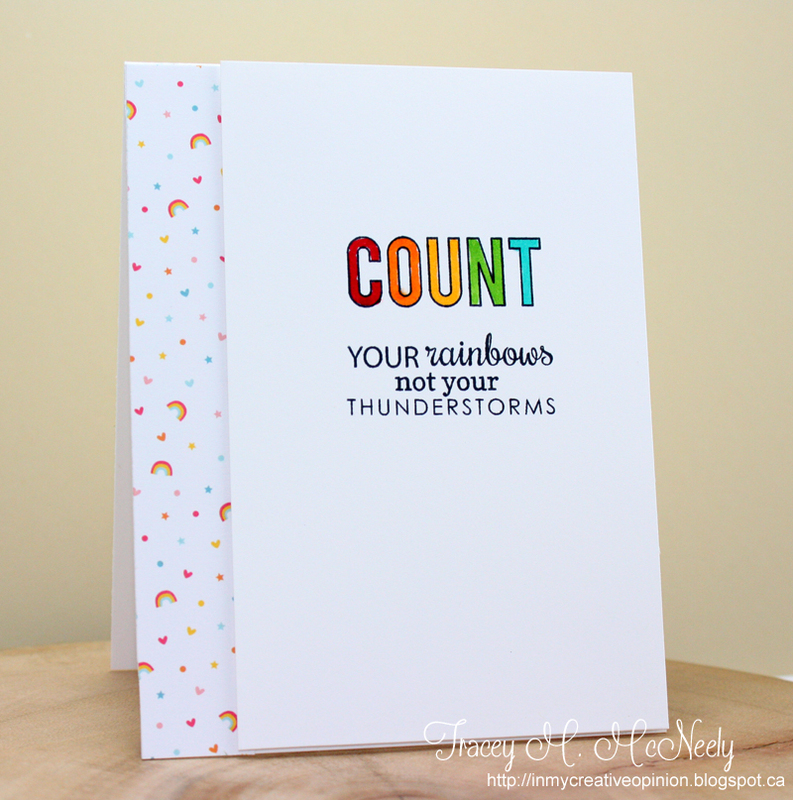 For my card I created my own rainbow with Copics using Reverse Confetti Count Your Rainbows and some Lawn Fawn Hello Sunshine patterned paper down the left side. 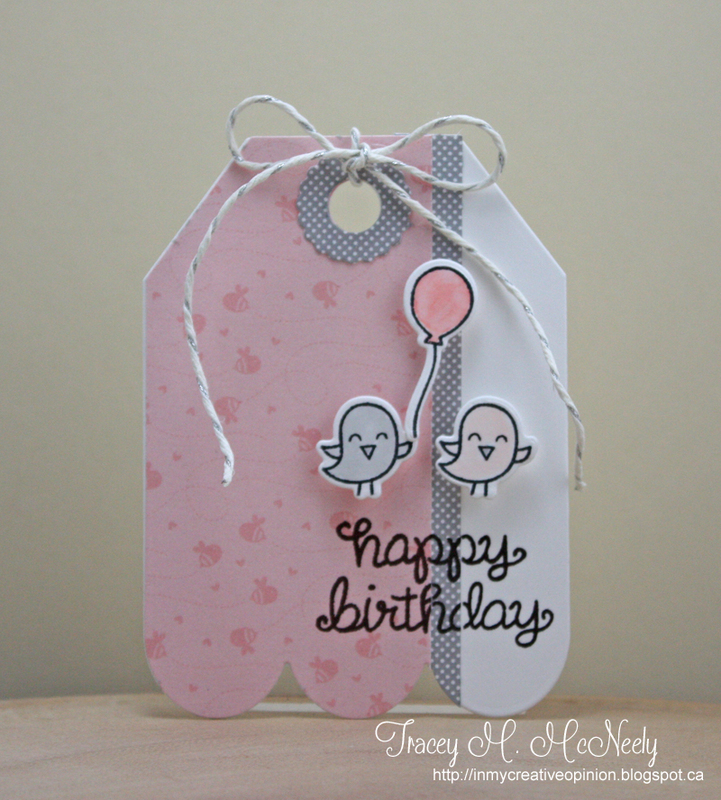 Adding a strip of simple patterned paper adds interest to your design without overwhelming it! The white panel is popped up with foam tape. I can't wait to see what everyone comes up with this week! 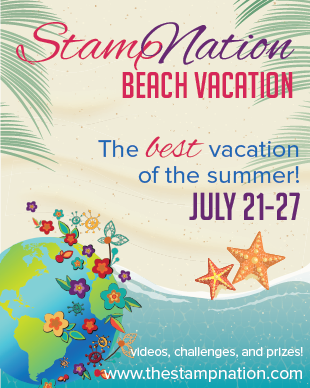 Today is the last day of The StampNation Beach Vacation! I hope that you have enjoyed all of the inspiration this week. 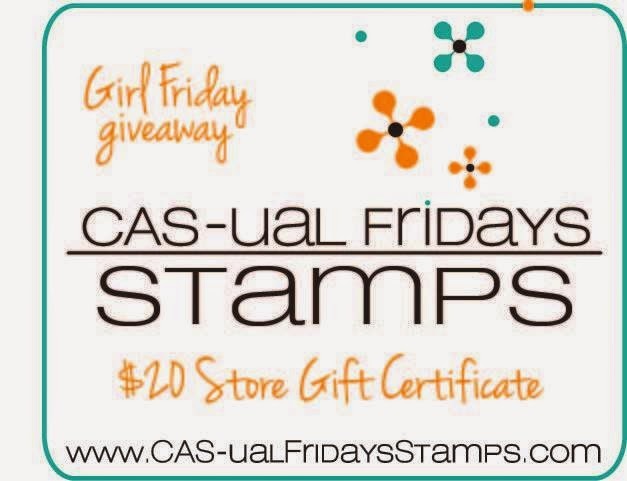 Time for the final challenge of 2014 at CAS-ual Fridays! 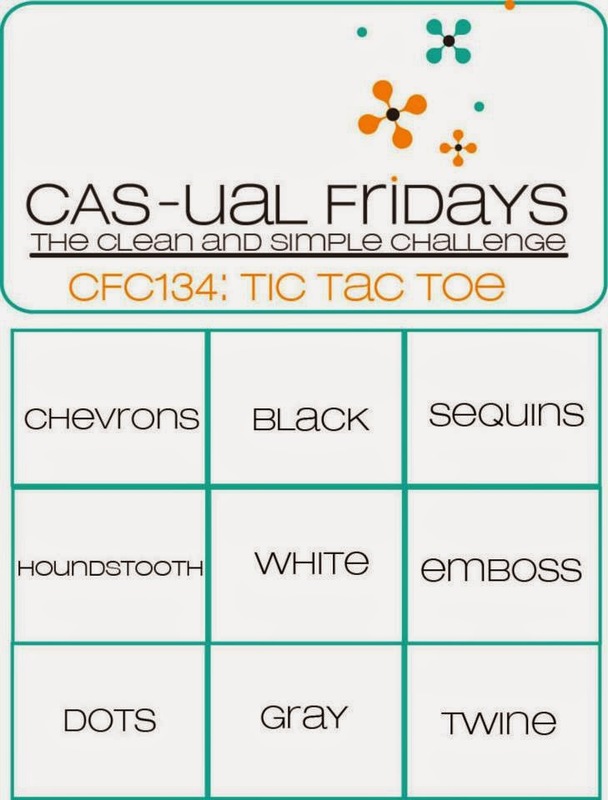 CFC134: Create a Clean And Simple project using our Tic Tac Toe board. 3 across, 3 down, or 3 diagonally. Your choice and you can play as often as you'd like using different rows. each one of the Girls Fridays is also hosting a giveaway on our blogs so be sure to leave a comment to win! I was inspired by the challenge to go straight across the top! 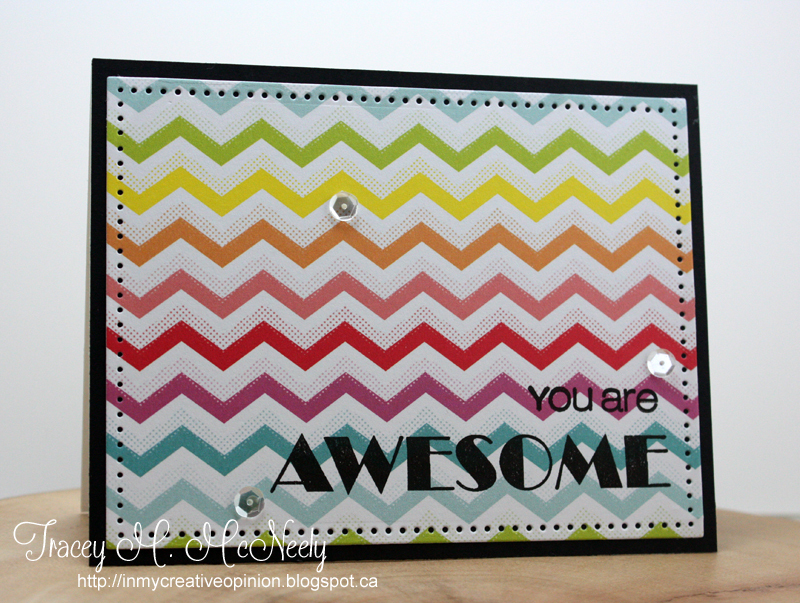 I die cut the fun chevron paper using the Dotted Die from Avery Elle and stamping an 'awesome' sentiment from Wait Fot It! 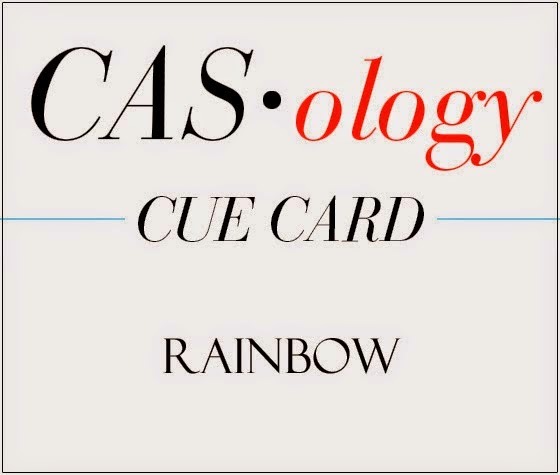 Head over to CAS-ual Fridays to see what the rest of the team has to inspire you and to link up! Have a wonderful weekend, I can't wait to see what you do. Happy Thursday and today is my day to post for Top Dog Dies. 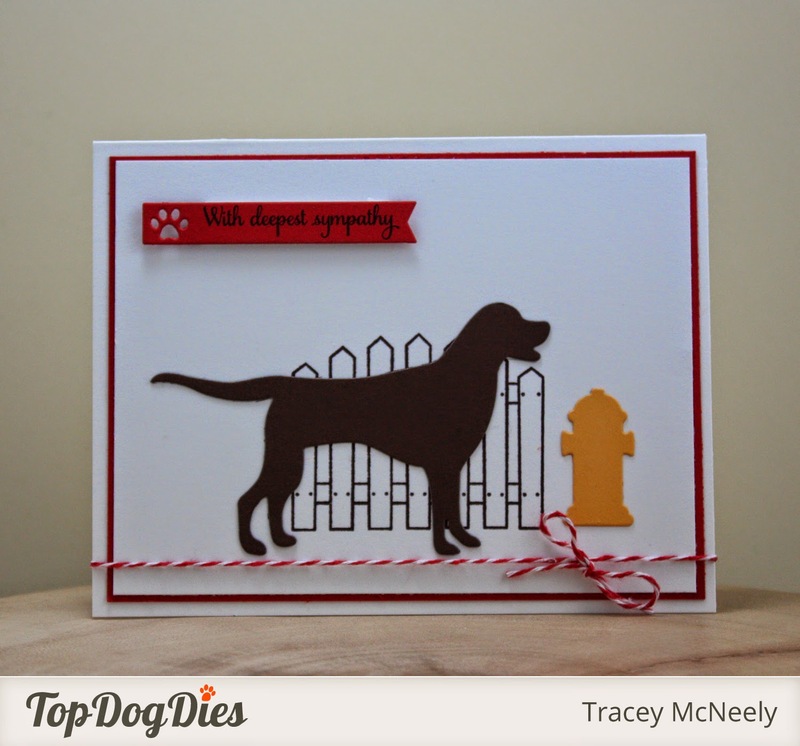 Today I am introducing four brand new exclusive Top Dog Dies from the July release! 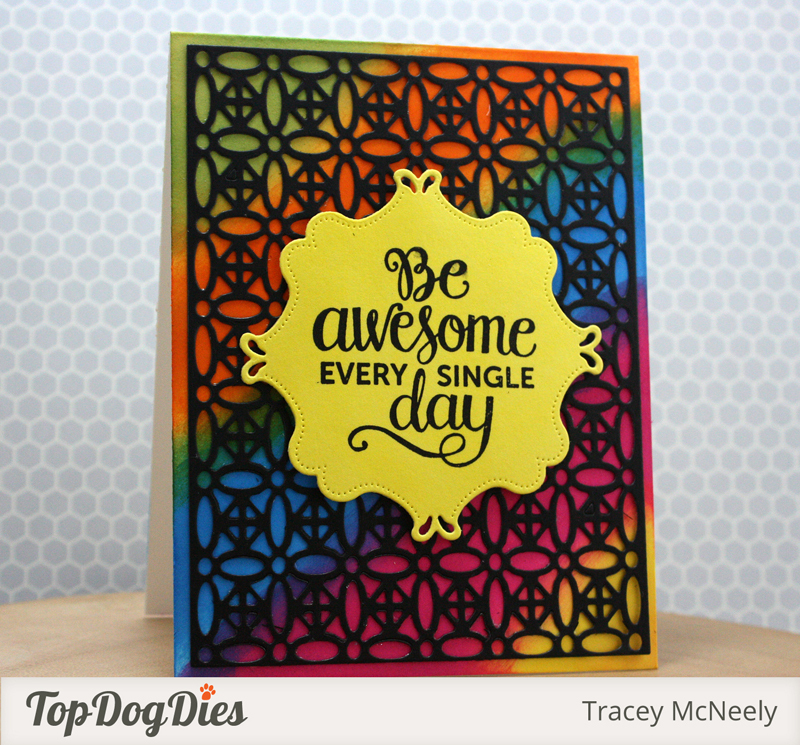 There is an awesome giveaway on the Top Dog Dies Blog HERE! 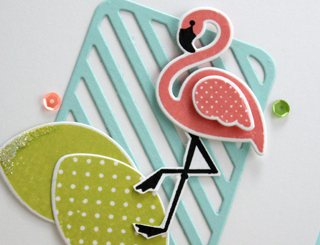 My fist card features the new Corset die! Endless opportunities with this one it can be elegant and classy just like the card Top Dog Dies teammate Cathy Weber did on her blog in this post HERE or if can be bold and sassy like what I have done today with the purple corset. My niece is getting married in the fall and I know that she is going to love this when I give it to her at her shower. I am anticipating a squeal! I die cut it in both purple and black, then cut the black bow off and glued it over the top of the purple corset bow, it is topped off with a purple gem! The sentiment is on one of the three banner dies. I don`t have any stamps that are suitable for a shower or festivities leading up to the main event, so I had to improvise with my computer! My second card uses two other new dies, the Flower Lace A2 Mat die and the new Vintage Frame Die. I have actually gotten a few emails from people wondering if I am changing my design style. Now I am not but I am stretching out my creativity. I love that using Top Dog dies is pushing me out of my comfort zone to try new things. 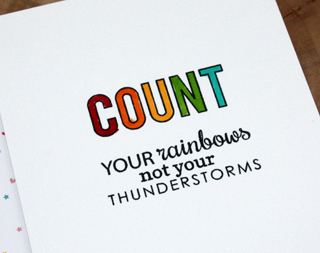 Lately I seem to be in love with Distress Inks, especially the ones that are vibrant colours! For my card I used 5 different inks colours to create the card base and then put the Flower Lace die cut over top--LOVE! 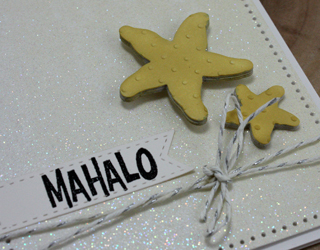 Then I created a swatch of yellow and die cut the Vintage Frame to stamp the sentiment on. My suggestion it that if you do this let the paper dry before stamping on it. 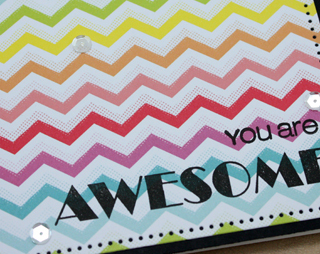 I stamped this fab sentiment from Mama Elephant! These dies and more will be released by Top Dog Dies next Tuesday, July 29th!